Two documentaries that recently screened at TIFF (Toronto International Film Festival) will be at CIFF (Chicago International Film Festival, which is currently under way, from October 13th thru October 27th, at AMC River East on 322 E. Illinois St. From Romania comes “A Mere Breath” (originally titled: “Doar o rasuflare”), directed by Monica Lazurean-Gorgan, which recently won Best Documentary Film Award at the Heart of Sarajevo Film Festival and the other is the latest film from Oscar-winning American director Errol Morris. That’s where their similarities ends, although you could say that both filmmakers are interested in capturing their subjects “as is” without any flourishes or specific perspective and, in turn, both films succeed because of that approach. There are documentaries that feel as if they could easily be made into a feature film (and sometimes that happens), but here is one that looks and feels like a feature film. At no point does Monica Lazurean-Gorgan’s film come across like a documentary. 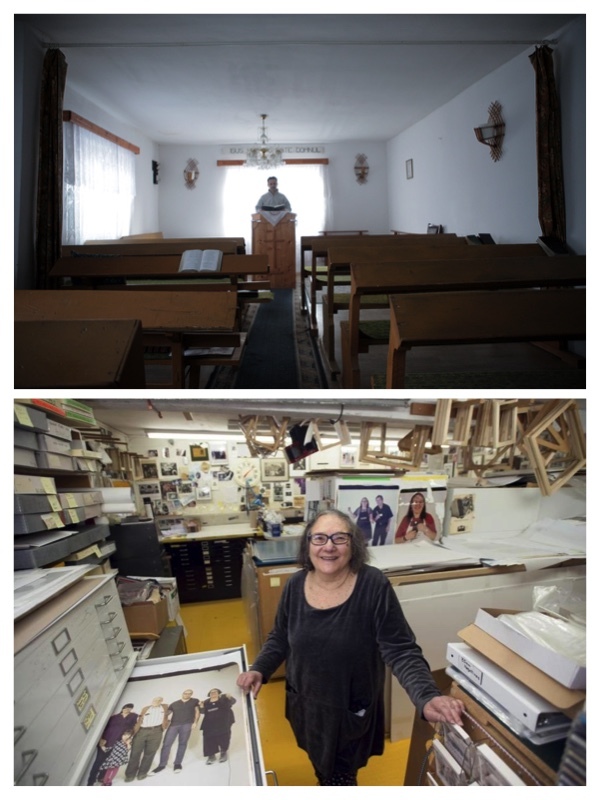 She follows a Romanian family living in the Transylvania countryside for seven years (2008-2015), but it never feels like the family is being studied or followed, just observed. Just as Richard Linklater’s “Boyhood” followed the growth of one particular family – this film could be called “Familyhood”. The deeply religious father, Dobrin Sicrea, is the family’s leader and is also a prominent leader in their local church. He and his wife, Lia, raise three children – the eldest is their son, followed by two daughters. The youngest is Denisa, who was born with spina bifida. Dobrin strongly believes that if this family is unified together and faithful, prayerful to God, her condition will be healed. As the years pass, Dobrin and Lia instill in their children the ways and laws of God, reading to the Bible to them and praying with them. But is he pushing his children away with his staunch beliefs or helping to cultivate their own convictions as they enter into their teen years? More importantly, is it too late for Denisa to get the corrective medical procedures needed to correct her spine, since her condition could become irreversible as she ages? 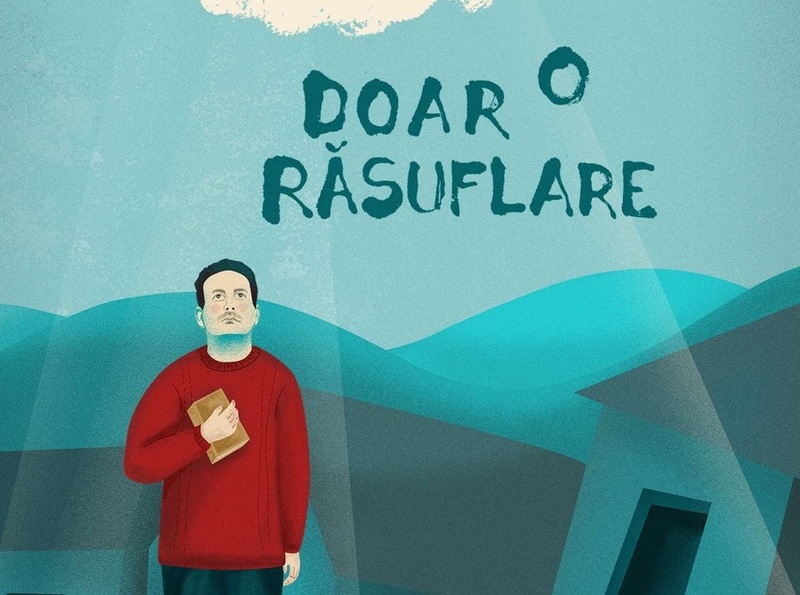 “A Mere Breath” may take place in Romania, but it is a wholly relatable look at the effects and toll that a religious upbringing can have, even when there are noble intentions. Meticulously and exquisitely shot in a grey and earthy landscape with the only soundtrack being the religious songs the family and the church sing, the documentary asks viewers to look at the ramifications of blind faith and love. “A Mere Faith” is co-produced by HBO Europe and Lazurean-Gorgan, through a production company named Manifest Film. It’s an endearing yet complex look at the restrictions and elasticity of love and faith to God in the family. 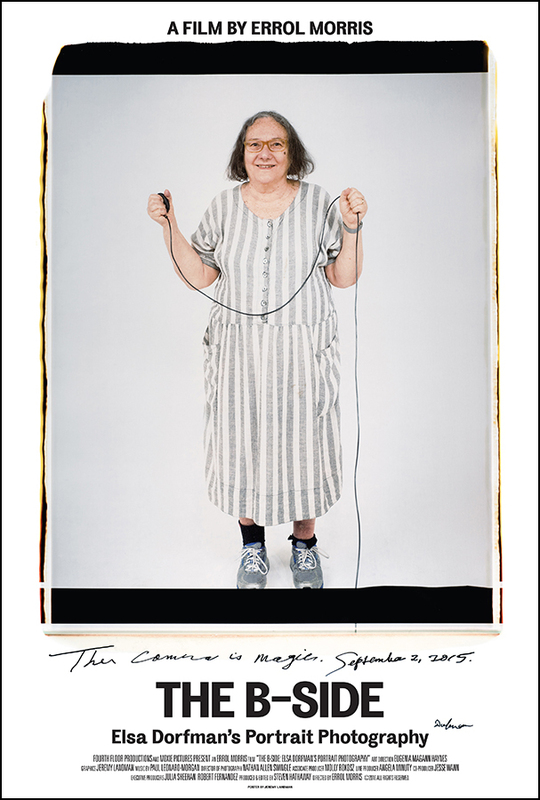 Errol Morris (“The Fog of War” and “Thin Blue Line”) offers an intimate look at Elsa Dorfman, a personal friend of the acclaimed director’s, who offers an intimate look at a talented and content soul. Dorfman works as a unique portrait photographer out of Cambridge, Massachusetts, known for capturing photos of prominent ’60s icons back in the day, such as Allen Ginsberg and Bob Dylan as well as other literary figures like: Lawrence Ferlinghetti, Peter Orlovsky, Gary Snyder, Gregory Corso, and Robert Creeley, in addition to people who would become notable in other fields, such as radical feminist Andrea Dworkin and civil rights lawyer Harvey A. Silverglate (who would later become Dorfman’s husband). Dorfman was one of the first artists to utilize large-format 20×24 Polaroid cameras (one of only 6 in existence), which she still uses today. Instead of getting candid shots of her subjects, Dorfman prefers to see them smiling and happy, reasoning that there’s enough sadness in the world. “I’m really interested in the surfaces of people. I am totally not interested in capturing their souls,” she states, “I’m only interested in how they seem.” The title of the documentary refers to the rejected photo her clients leave her with, which she calls her “B-sides”. She notes how that rejected photo is just as good as the one selected and it’s a joy to see her admire her own work as if she’s discovering it for the first time – she has pride in her work, but she’s not arrogant. It’s a bittersweet experience for her, as she encounters friends who have passed and moments in time that have faded. Morris recounts Dorfman’s past with her as she recalls how she got into photographer during a time when it was expected that women should be wives rather than focus on a talent or build a career. Although she is still fond of the process and the format she uses, Dorfman is well aware of its looming extinction as her preferred film stock ceases to exist. 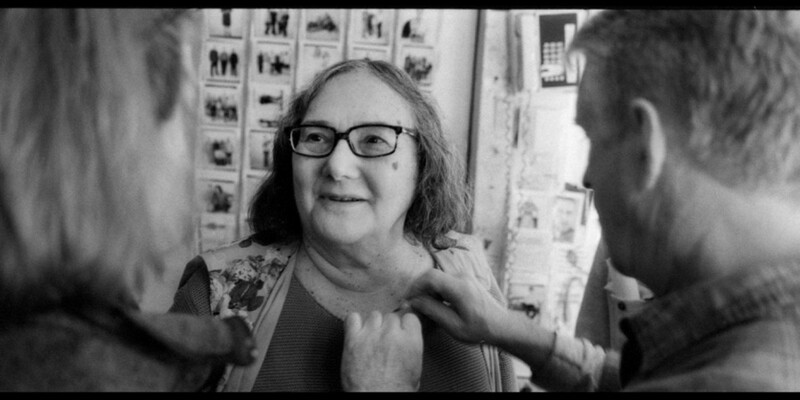 Even with Polaroid phasing out, the determined and energetic 79-year-old continues to take picture as a form of therapy that rewards both her and her subjects. “The B-Sides” is a gentle film that captures a sweet woman, who remains a dynamic force and valued talent.